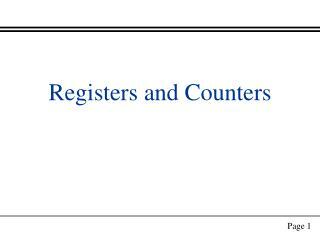 Registers. Today we’ll see another common sequential device: registers. They’re a good example of sequential analysis and design. They are also frequently used in building larger sequential circuits. Registers hold larger quantities of data than individual flip-flops. 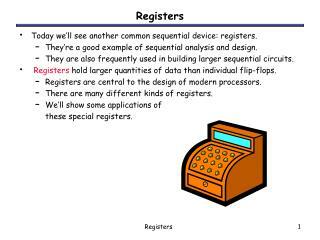 Today we’ll see another common sequential device: registers. They’re a good example of sequential analysis and design. They are also frequently used in building larger sequential circuits. Registers hold larger quantities of data than individual flip-flops. Registers are central to the design of modern processors. 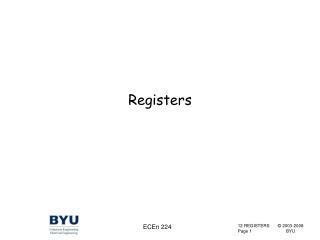 There are many different kinds of registers. Flip-flops are limited because they can store only one bit. We had to use two flip-flops for our two-bit counter examples. 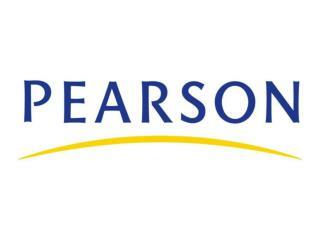 Most computers work with integers and single-precision floating-point numbers that are 32-bits long. 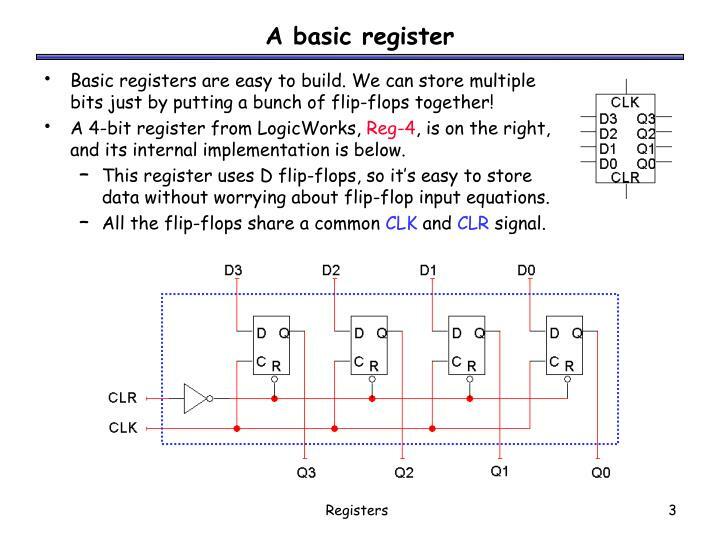 A register is an extension of a flip-flop that can store multiple bits. 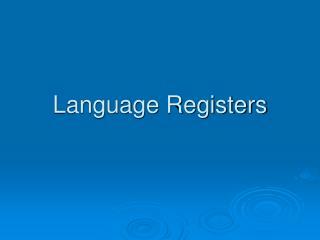 Registers are commonly used as temporary storage in a processor. 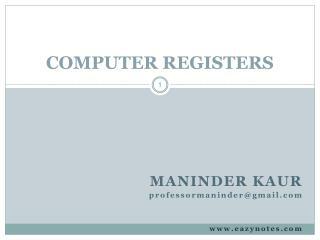 They are faster and more convenient than main memory. 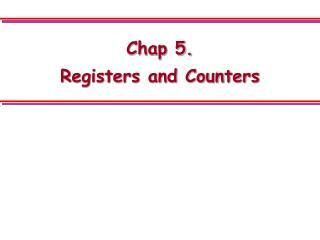 More registers can help speed up complex calculations. 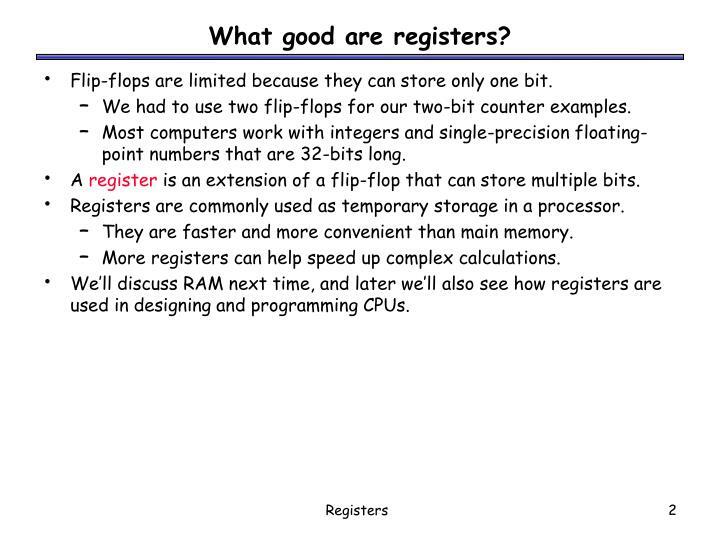 We’ll discuss RAM next time, and later we’ll also see how registers are used in designing and programming CPUs. 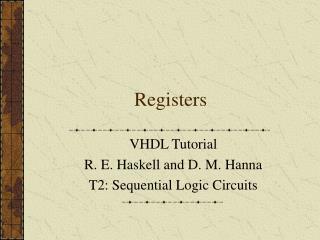 Basic registers are easy to build. We can store multiple bits just by putting a bunch of flip-flops together! A 4-bit register from LogicWorks, Reg-4, is on the right, and its internal implementation is below. 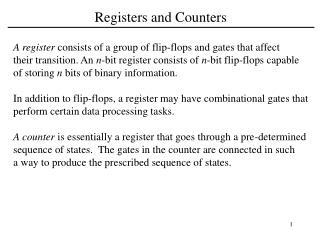 This register uses D flip-flops, so it’s easy to store data without worrying about flip-flop input equations. 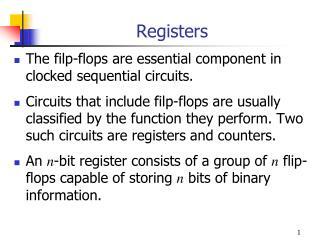 All the flip-flops share a common CLK and CLR signal. The input D3-D0 is copied to the output Q3-Q0 on every clock cycle. How can we store the current value for more than one cycle? Let’s add a load input signal LD to the register. 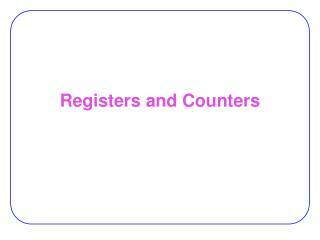 If LD = 0, the register keeps its current contents. 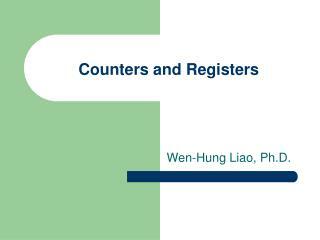 If LD = 1, the register stores a new value, taken from inputs D3-D0. We could implement the load ability by playing games with the CLK input, as shown below. When LD = 0, the flip-flop C inputs are held at 1. There is no positive clock edge, so the flip-flops keep their current values. 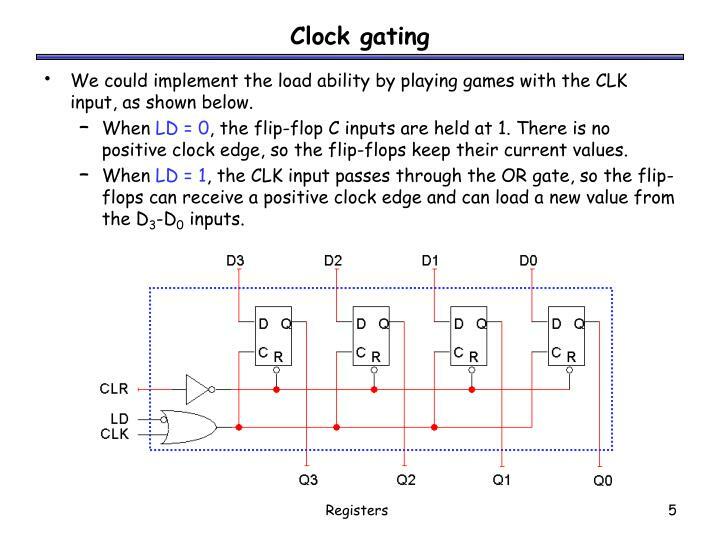 When LD = 1, the CLK input passes through the OR gate, so the flip-flops can receive a positive clock edge and can load a new value from the D3-D0 inputs. 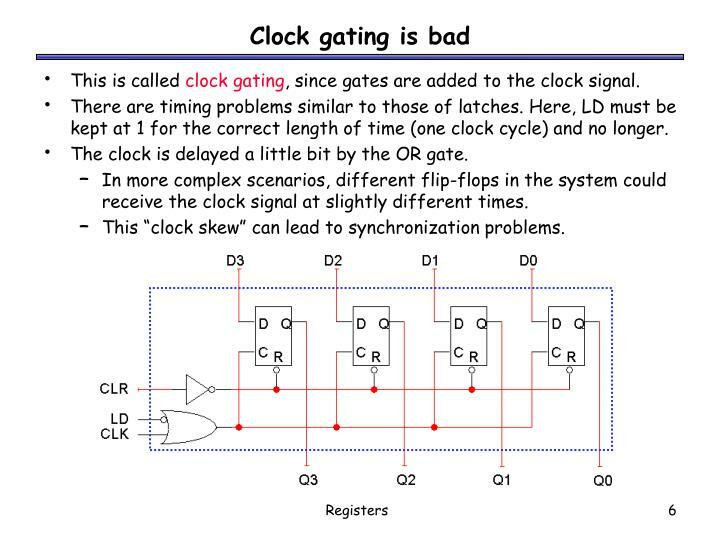 This is called clock gating, since gates are added to the clock signal. There are timing problems similar to those of latches. Here, LD must be kept at 1 for the correct length of time (one clock cycle) and no longer. The clock is delayed a little bit by the OR gate. In more complex scenarios, different flip-flops in the system could receive the clock signal at slightly different times. This “clock skew” can lead to synchronization problems. Another idea is to modify the flip-flop D inputs and not the clock signal. 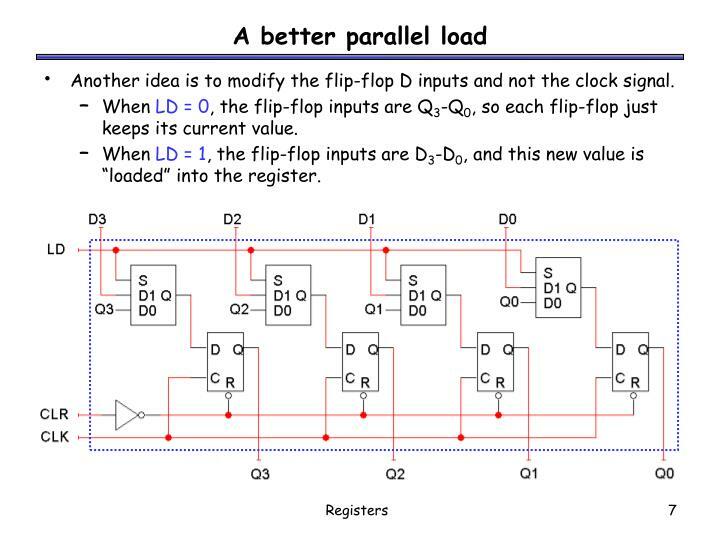 When LD = 0, the flip-flop inputs are Q3-Q0, so each flip-flop just keeps its current value. When LD = 1, the flip-flop inputs are D3-D0, and this new value is “loaded” into the register. 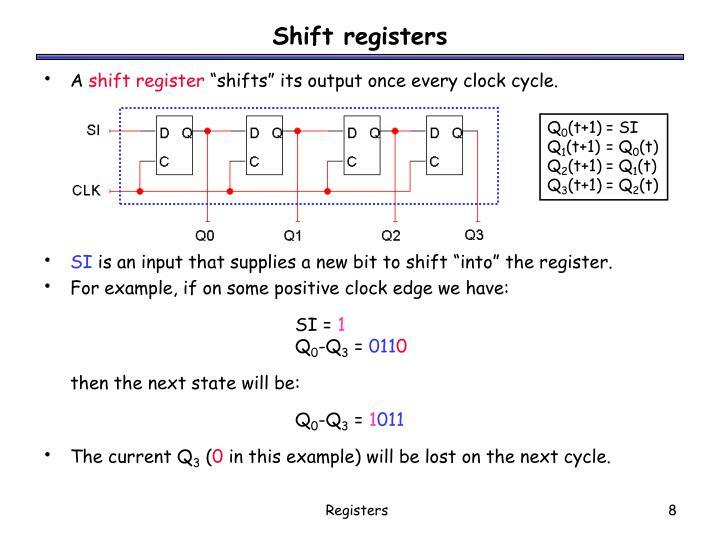 A shift register “shifts” its output once every clock cycle. 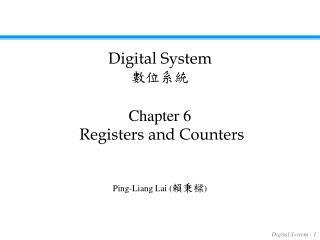 SI is an input that supplies a new bit to shift “into”the register. The current Q3 (0 in this example) will be lost on the next cycle. But it really depends on your interpretation of the bits. 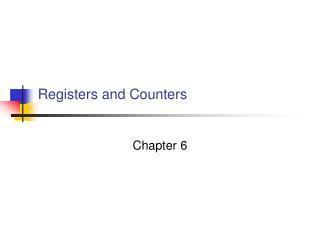 If you consider Q3 to be the most significant bit instead, then the register is shifting in the opposite direction! 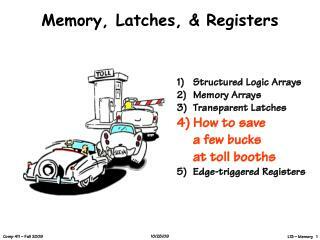 We can add a parallel load, just like we did for regular registers. 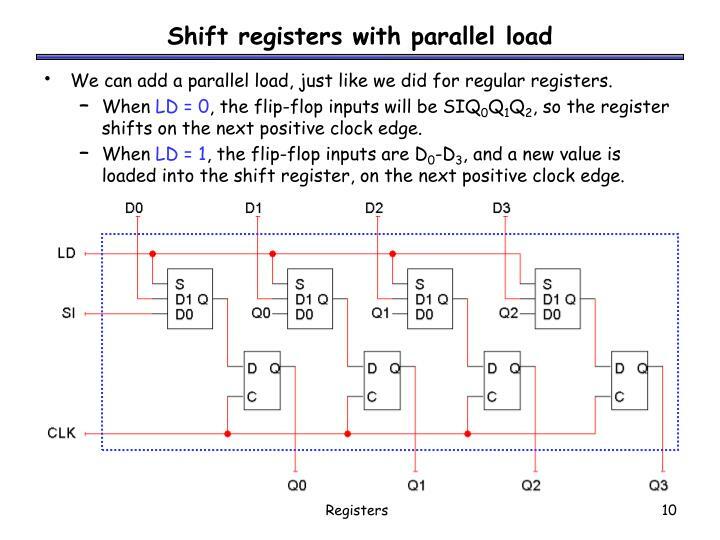 When LD = 0, the flip-flop inputs will be SIQ0Q1Q2, so the register shifts on the next positive clock edge. When LD = 1, the flip-flop inputs are D0-D3, and a new value is loaded into the shift register, on the next positive clock edge. 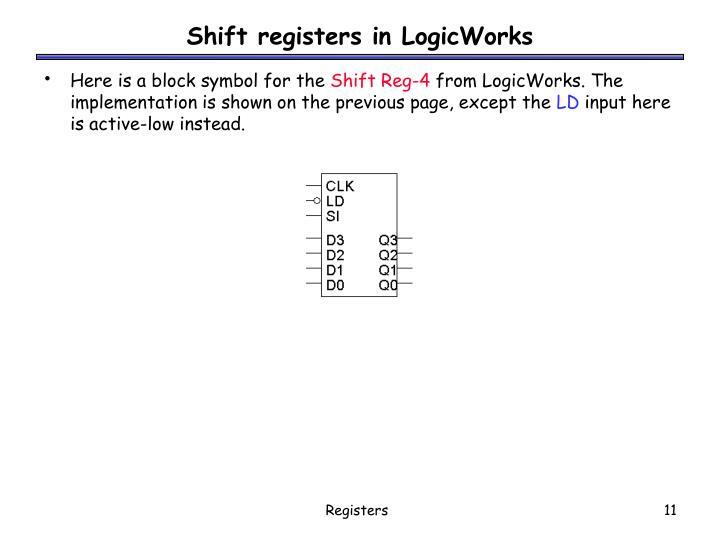 Here is a block symbol for the Shift Reg-4 from LogicWorks. The implementation is shown on the previous page, except the LD input here is active-low instead. 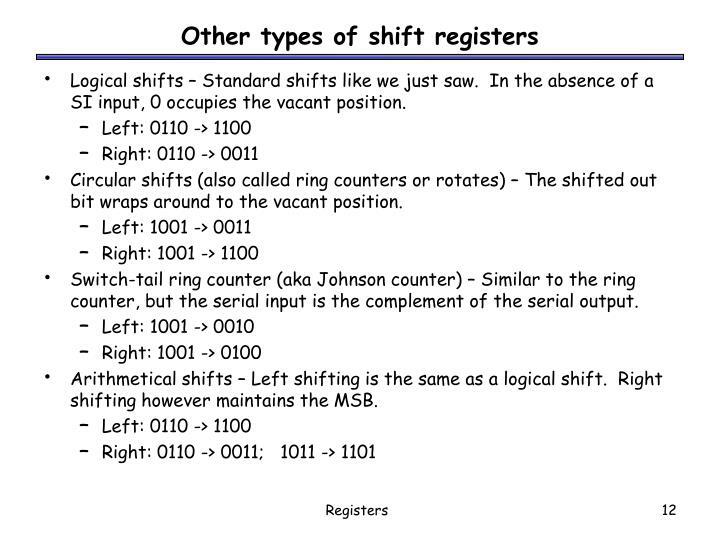 Logical shifts – Standard shifts like we just saw. In the absence of a SI input, 0 occupies the vacant position. Circular shifts (also called ring counters or rotates) – The shifted out bit wraps around to the vacant position. Switch-tail ring counter (aka Johnson counter) – Similar to the ring counter, but the serial input is the complement of the serial output. 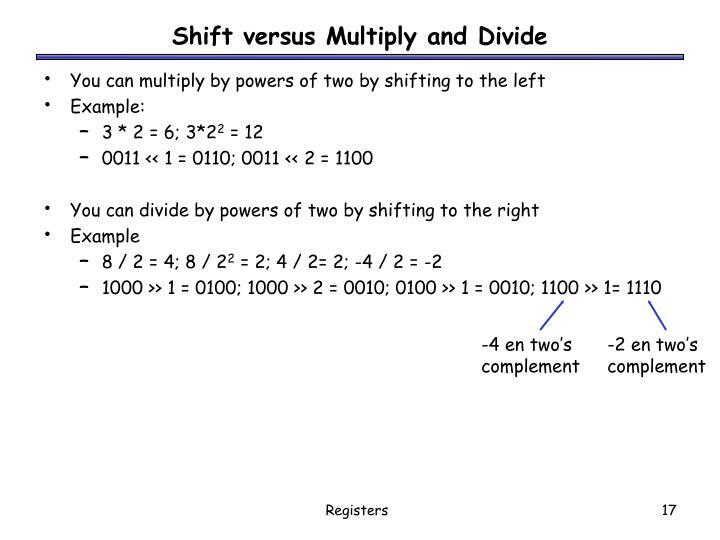 Arithmetical shifts – Left shifting is the same as a logical shift. Right shifting however maintains the MSB. Computers typically work with multiple-bit quantities. ASCII text characters are 8 bits long. Integers, single-precision floating-point numbers, and screen pixels are up to 32 bits long. Input devices such as keyboards and mice. 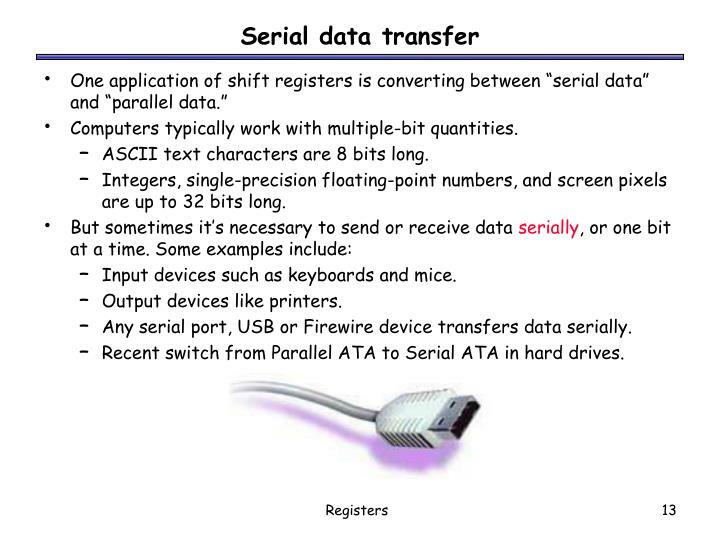 Any serial port, USB or Firewire device transfers data serially. Recent switch from Parallel ATA to Serial ATA in hard drives. 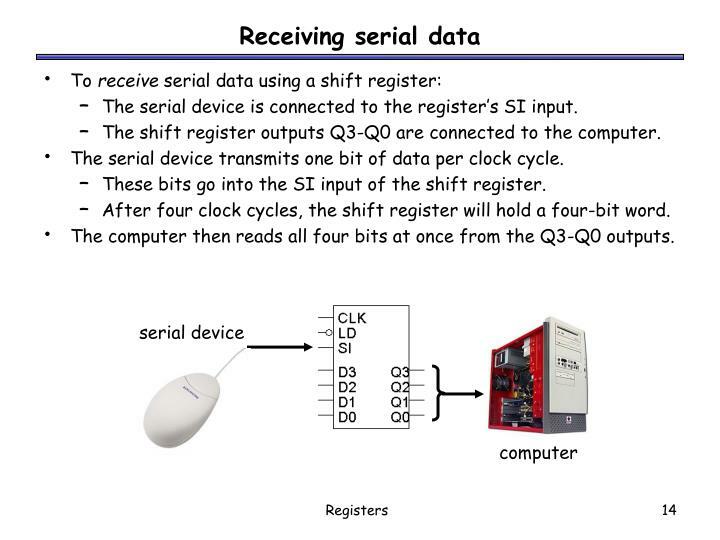 The serial device is connected to the register’s SI input. 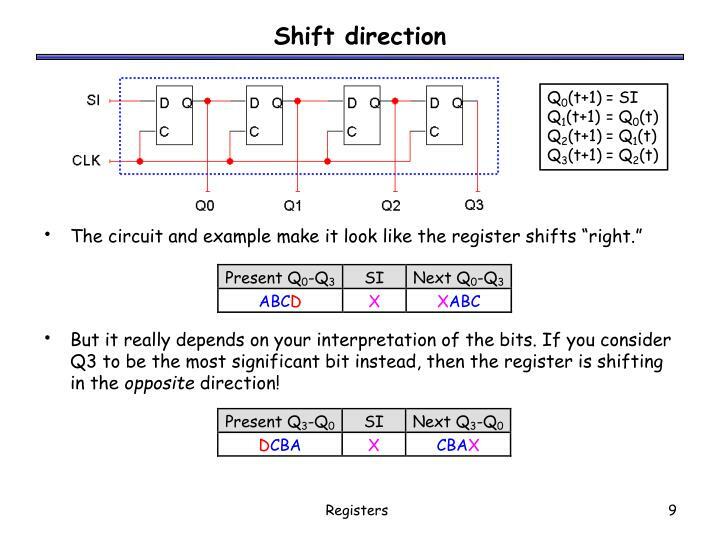 The shift register outputs Q3-Q0 are connected to the computer. 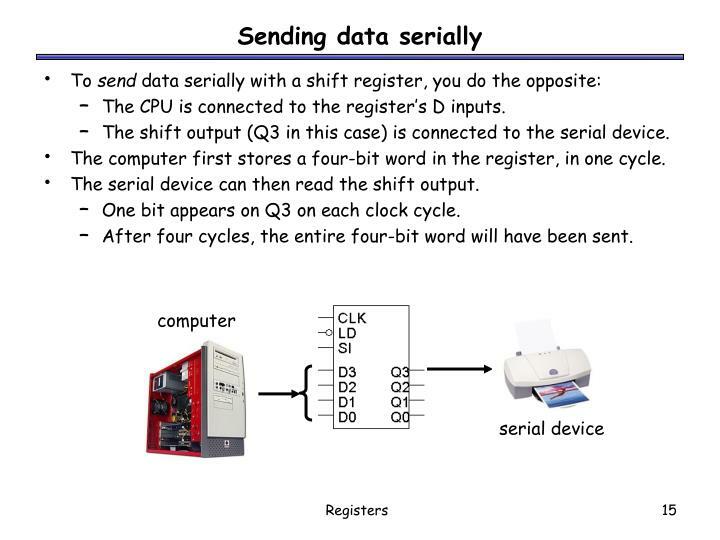 The serial device transmits one bit of data per clock cycle. These bits go into the SI input of the shift register. After four clock cycles, the shift register will hold a four-bit word. The computer then reads all four bits at once from the Q3-Q0 outputs. The CPU is connected to the register’s D inputs. The shift output (Q3 in this case) is connected to the serial device. The computer first stores a four-bit word in the register, in one cycle. The serial device can then read the shift output. One bit appears on Q3 on each clock cycle. After four cycles, the entire four-bit word will have been sent. Used to supply values to the ALU. Used to store the results. 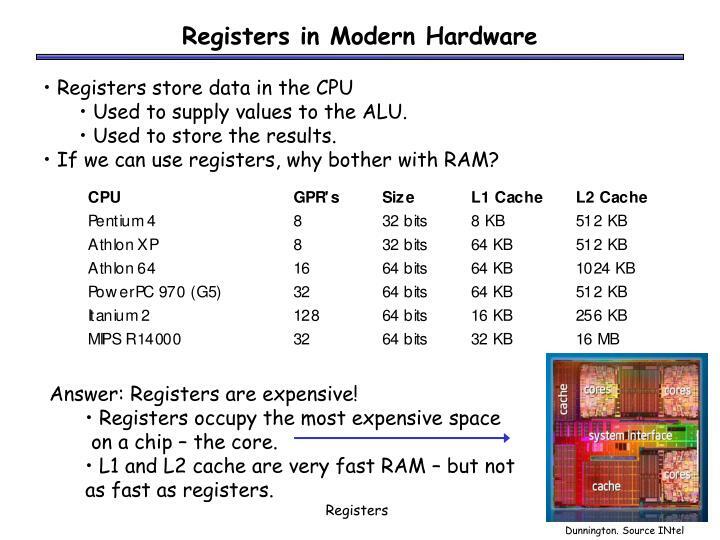 If we can use registers, why bother with RAM? 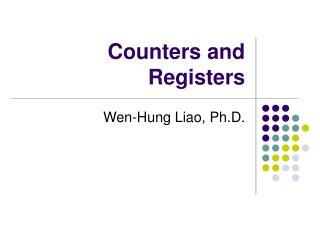 Registers occupy the most expensive space on a chip – the core. 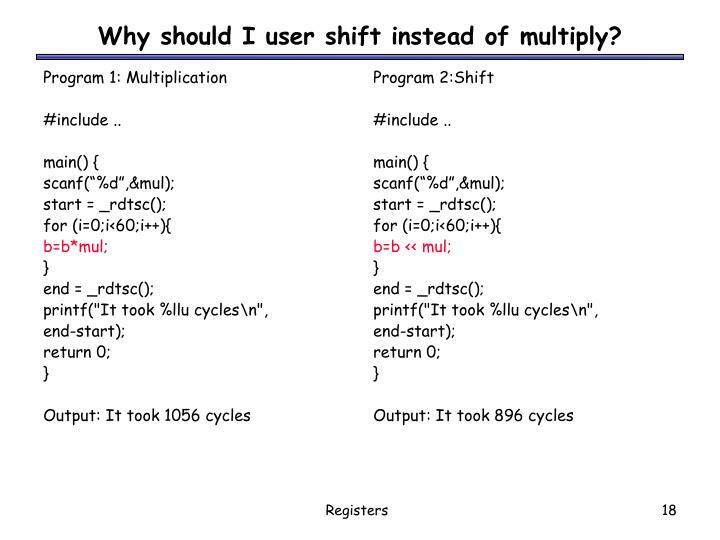 Why should I user shift instead of multiply? Why should I user shift instead of integer division? 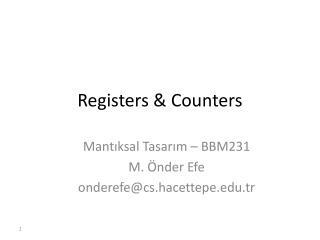 A register is a special state machine that stores multiple bits of data. 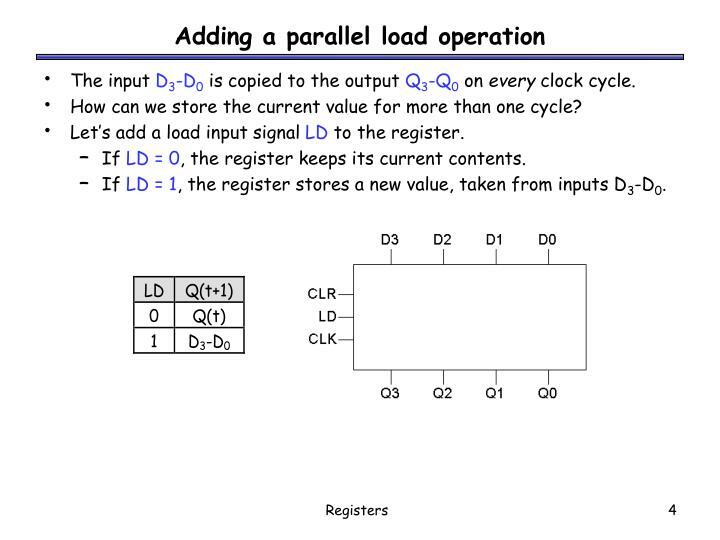 Parallel loading to store data into the register. Shifting the register contents either left or right. 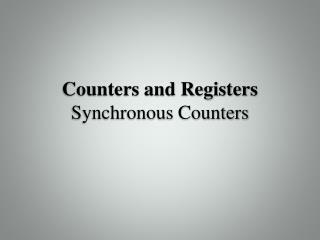 Counters are considered a type of register too! 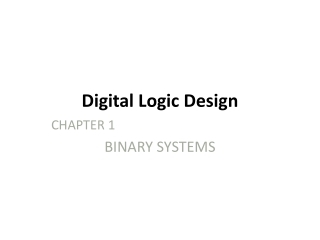 One application of shift registers is converting between serial and parallel data. Most programs need more storage space than registers provide. We’ll introduce RAM to address this problem. 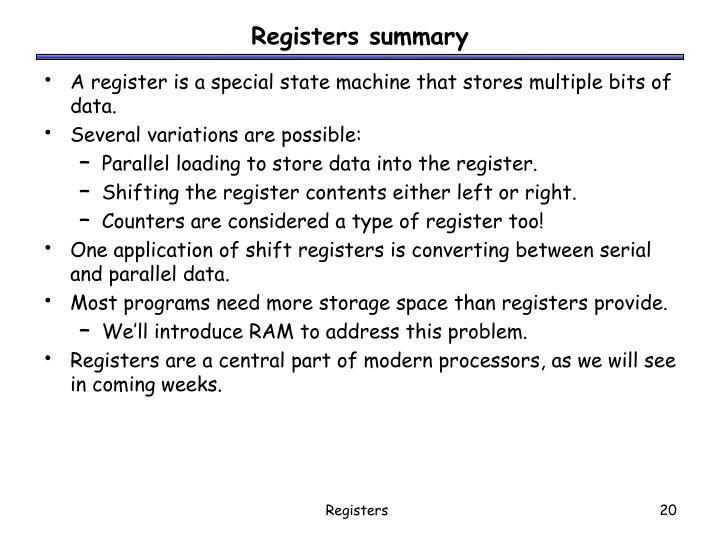 Registers are a central part of modern processors, as we will see in coming weeks. 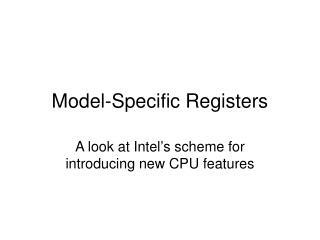 Model-Specific Registers -. a look at intel’s scheme for introducing new cpu features. microprocessor evolution…. 8080. 64k-memory, 8-bit registers (no mul/div, no fpu). 1973. 8086. 1m -memory, 16-bit registers, i/o-ports (8087 option). 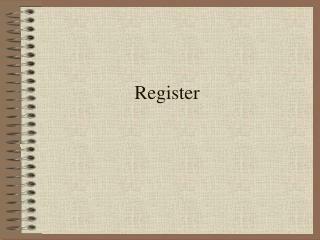 Register -. serial in - serial out shift registers. เข้าอนุกรม ออกอนุกรม จะเลื่อนข้อมูลตามสัญญาณ clock.